How do I begin this, the rally bug is addictive to say the least! Desert devil and I were remembering our words after last years rally. Yaar this track is awful, real car breaker, its too cold at night, it’s too dusty, it’s too far (return journey of 26 hours driving continuously) but we have done it, so it’s like “been there, done that”. However, it was our first and last Jhal Magsi Rally participation but, the true meaning of addiction is that the moment it was announced for this year we both said, I am going definitely. As usual many petrol heads from IJC wanted to go and participate, but the time, effort, preparation and resources required to get all done meant that only two could eventually make it. 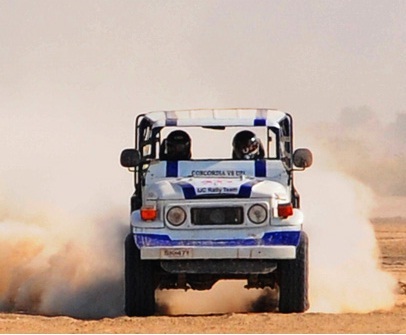 Both I and Desert Devil have participated in rallies previously, but it was Suhaib’s first. We had continuously been baiting and tempting (and it worked!) to join us on rallies ever since he put in the monster UZi in his FJ40. The rally preps require a long time and ideally should be carried out well in advance, but and that’s a big BUT that we never learn. So it was all done almost at the last minute. However, few things I had bought earlier were; the snorkel that I bought before last years Jhal rally to put on and it couldn’t be fitted because of shortage of time last – well guess what – we didn’t have time to install it this year either. It is still lying on the floor in my store, and don’t ask me what was I doing the whole one year in-between. Moving over, here, I must appreciate and thank Ali Zafar (charged) for his two days to finalize the preparation of my NPP. Asad’s Pajero’s electrical / mechanical fireworks had just few days to get sorted but that was not enough so plan was dropped to enter in the and was consequentially decided that Asad would be my navigator but this is just one rig’s disaster’s, wait as we begin with Suhaib’s side of preparatory disasters. After all last minute, rather last second preps were completed, both NPP and Uzi were finally loaded onto trailer for transport to Sukkar on Tuesday at last which takes approx 48 hours to reach there. Asad and I had other plans for traveling to Sukkar, but the long drive back between just two drivers put us off, and we decided to travel by Daewoo Express to Sukkar and return journey would be by PIA flight. It was my first ever experience of Daewoo traveling and it was some traveling – almost 18 hours of journey. Both Asad and me are not very good sleepers, so we were dreading it a lot. But as it is, with the excitement of rally and overall it wasn’t too bad. We did have a blown rear right tyre of the Bus at 120kmph on the M2 motorway, but as the bus has two wheels on each side in the rear, it was not so dramatic apart from loud bang and air hissing sound. We stopped only to check if the second tyre was ok, and the driver continued for next 80 odd kms at slower speed of 75-80kmph till we reached Faisalabad Daewoo workshop where it was swiftly replaced. But overall it did cost us 90 minutes extra for slower speeds and the detour into Faisalabad city. Just 15-20km away from Sukkar, we saw the trailer with our vehicles also heading steadily towards Sukkar. After getting off at the Bus Stop we took a rickshaw to the trailer Adda, and within 15-20 minutes of us reaching there the trailer arrived as well. Our vehicles were offloaded and than we had lunch. After that we waited for Suhaib and his crew to arrive. From Sukkar we left in a small convoy of three vehicles heading towards our final destination ‘Jhal Magsi’. Progress was steady, we were constantly in touch with Sutlej 4X4 club for directions, hoping to join them soon so we can travel together in dark as a large convoy of 10 plus vehicles as the area is notorious for mishaps etc. On the way there were some long flat stretches of nicely paved bitumen and lets just say for the purpose of checking high speed stability, both NPP and UZi did some high speed runs over 150kmph, obviously UZi would snarl past growling when ever it chose, but I was pleased with improved acceleration response from NPP with reduced weight (courtesy: removal of rear dala) and even felt reassuringly planted at 160kmph while Siddique was having hard time keeping up in Lancer. Eventually with large convoy we proceeded briskly towards Jhal, reaching around 8pm. Many participants were already at the camp and had placed camps etc. We also occupied two camps and unloaded the vehicles. After the Buffet dinner meal both I and Asad were off to bed by 11pm. I was off to sleeping lands before long despite plenty chattering going on in neighbouring camps. Despite hardly getting any sleep in Daewoo travel the night before, Asad had trouble getting to sleep, owing to loud snoring sounds with almost growling effect form the surrounding camps. And I kid you not, there were several snoring patterns with almost engine missing style. During the night it was cold enough for me to wake up at 4 and decide that after all the second sleeping bag does need to be lined in as well to get comfy, there after I was comfy for remaining sleep. Next morning we had a slow start, orienting ourselves in the rally village after breakfast, than we got our vehicles registered, paid fees, got the technical inspection done and finally numbers allocated. Than it was time for leaving for the course recce. We started off later than planned, around 12:30pm. The course recce went slowly but steadily, we took pics and made videos on the way. The course was significantly worse and rougher compared to last year. We did make notes on the way, but both Asad and I remembered most of it reasonably well from last year. Along the course we crossed the beautiful Molaan River, where lunch was hosted on its bank. It was a nice break from the harshness of track ride. However, when we left it was getting dark and both dawn and dusk are the worst time in Jhal as the dust just hangs in the air, visibility for last 15 odd km was mostly less than 20 yards so we hardly could make anything of the track current situation. Not sure how many notes did Suhaib take of the track but we were reasonably happy with what to expect. A second recce would have been even better, but we wanted to save our suspension from serious pounding, considering we were using stock springs and shocks. The tyre pressure we decided on was 25psi (cold) for the race and 30 psi for the qualifying which is on flat dirt track with no bumps etc. After reaching back in the camp, it was chit chat time with various rallying friends, Qasim Saidhi as usual had a very nice tea / coffee stall setup in his tent where we had good gup shup. Met several other Rally petrol heads as well. Finally around 9pm the drivers meeting started and general rules and requirements were discussed. Than the draw for qualifying was done by balloting and we were 8th out on the track. Suhaib’s number was close to 2/3rd of list. Finally after the buffet dinner, we hit the sack. After two nights, Asad slept like a log and I also had a pretty decent sleep. The music and singing outside at bonfire made no difference. Even the snoring / growling were almost non-existent to our ears. Next morning we were up before 7. I emptied the car fully of almost all extra items. The recce had left us with just more than ¼ tank of fuel which was ideal for qualifying. Had a light breakfast and we headed to the qualifying track around 9am. Suhaib took it steady during qualifying, making sure he posted a time and came back safely. There was only one casualty of qualifying, in fact pre-qualifying lap by a rookie in a LR Defender 90. He was un-harmed but vehicle was significantly damaged in the roll over, and could not carry on any further. After qualifying we headed back for the Rally village for lunch, relaxing and final tweaks etc. My rear luggage tray was slamming quite hard during jumps during recce, so we decided to remove it. We put back some of the essential items back in NPP which may be required during the rally but were removed for weight reduction during qualifying. Tyre pressures were checked. Various fluid levels were checked. New Air-Filter was placed, battery holder nuts etc were checked and seat belts were taped up adequately so they wouldn’t over tighten during the rally (Zohaib would know about this bit!). Discussed driving n navigation plan with Asad. Went to Jhal town in early evening to get some snacks and extra water to be carried during rally for emergency breakdown scenario. Got high pressure air clean up of cabin to get rid of some of the dust inside. Taped up the CD player. Secured all lose items inside the cabin. Around 08:30pm the qualifying results were put up and drivers meeting commenced with some heated discussions followed by dinner. Finally after midnight it was bed time and for me it wasn’t too bad a night. Did expect some anxiety / excitement but had taken a sleeping pill and felt well rested when I got up at 06:30 the next morning. My race start time was 9:44 and Suhaib’s was 11:40. I had sent my camera bag with support vehicle for fuel etc to mid break point at 09:30am, so there aren’t going to be any still shots of my launch, but I think Suhaib does have a video of the launch. We had some interviews taken by various channels. Asad and I sat quietly, reciting duas and focusing on race ahead. Surprisingly didn’t feel any anxiety or nervousness at start line either. The start went to plan, the 4X4 usage, the gear choice went mostly as predicted and planned. Made no major mistakes in first stage, no significant off-track excursion either. The track was very rough when tackled at full speed, the rear of NPP had no weight so as soon as we entered the rocky section we had few nasty surprised awaiting us. Had kept my belt very slightly lose and consequently banged my head around several time, thankfully all were adequately soaked by the helmet. We were frequently doing front wheel drive only on many bumps because of high kick backs of rear axle. Halfway into first stage we came across first casualty, Ashraf Sbs Evo had rolled to the side on a sharp turn, despite adequate warning, I nearly banged into him due to lose surface. We heard plenty loud bangs of rocks n stones hitting various parts of NPP but we pressed ahead full throttle. In hindsight, lesser air pressure in rear tyres and maybe one more leafspring taken out would have tamed the rear high kicks of NPP. Still I was fairly pleased with my time of arrival at stage break. It was over 9 minutes quicker compared to last year’s time and I was 8th fastest of all participants in stage one of the rally! At stage break, a quick check revealed that the supporting Jugaar for holding the fuel tank pipe had completely broken off and the rubber pipe was just flying around on its own. Was extremely lucky that the pipe didn’t rip or we would surely have run out of fuel. Also the rear spare tyre holding frame had bent in mid, due to frequent high kicks at the back. So ropes and bungee cords were used all round to secure everything and than we changed the air filter to a new one. During second stage we had plenty high speed flat runs, however compared to Friday’s recce, the surface was so much more lose due to excessive use during recce and runs by most drivers. So places where we comfortably hit 145kmph during recce and we didn’t go any faster to preserve our suspension however, during race day we could hardly hit 145 once or twice as NPP’s rear felt very light and was moving around like mad requiring frequent counter steer corrections. Which I must say at those speeds are not very confidence inspiring. On few occasions we had off track excursions more than 50feet out. But by the grace of Allah, we managed to retain control and hit the track back safely. From hearsay, all Evos and Nadir’s TLC were doing around 180 in those stretches. Even the chipped 3.0 Vigo’s were doing 160+. Doing 180 is simply not possible with 200 odd horses produced by NPP, especially on off-road track, it can maybe hit 170 on clear road, so may be 150-160 was possible on dirt track if we had a more stable rear. Anyway, no complains what so ever, NPP behaved beautifully, it is probably still as stock as it gets in the rally scene. Rear Dala removal and front double tokico shocks are not truly performance enhancing mods. Only briefly during Molaan river crossing I could not get the engine revs up, so crossed water really slowly, but once out it seemed to be back to normal self fairly quickly. And so we got to the end, safe and sound by the grace of Almighty. The second stage time was bit lacking because we were lagging behind on top speeds. But still I feel pretty satisfied that we were ahead of 4 chipped 3.0l Vigos which are producing power in excess of 200hp. Needless to say all these Vigos have suspension costing huge sums of money! My overall race time was 14 minutes faster compared to last years time over similar distance (193km). The average speed for me over the distance was 78kmph, up 6kmph compared to last years average (72kmph). Even now I can hear the echo of Asad’s constant comments, right, left, push, floor it, change gear red-line and most frequently “good good good, theek ho giya” after every high speed drift or when we successfully managed to avoid any mishaps from nasty tail outs, I should probably say here I have most likely done more drifts and tail out during this rally weekend compared to my previous total driving! We found out our time straight away, now it was just a long wait till all else finished to know our final standing. The adrenaline had finally eased off, we headed back to the camp for a quick wash under the tube well. Eventually had some lunch. And waited for Suhaib to finish his race, and MashaAllah he came back in good time. As predicted He and Farooq were full of dust and were un-recognizable. He seemed very pleased with how things went. It’s a proud moment for any driver to successfully complete one of the most gruelling rallies imaginable. We had decided we would stay till final prize ceremony was over. In the mean time we had all packed our stuff, I put back the luggage carrier on back of NPP and tied everything on it. We got drivers shields of participation. Got our pictures taken. And finally after dinner, we left Jhal around 11:30pm in a convoy with 3 of our vehicles, and 4-5 of MRC (Multan Racing club) and an ORAD TLC100 with Sohail Sarwar Sb and Mujahid Zafar Sb. MRC gang had their adrenaline pumping high as one of their vehicles secured 1st in B category and they were travelling at speeds over 130kmph at that time of night. We had to request them to slow down as it was difficult to keep up with them. Suhaib’s TLC is front screen less and moreover his front light stopped working so they were using an auxiliary light from cigarette lighter socket to see their way. Our original plan was to catch a PIA flight from Sukkar back to Islamabad with rally vehicles loaded onto trailer. Unfortunately the PIA flight was cancelled for un-known reasons and we were informed by PIA about it on Saturday night. So Asad and I had to return back via Daewoo Bus from Sukkar again. Neither of us was looking forward to the 16-18 hour return from Sukkar to Islamabad. Moreover we didn’t even know when we would get a place in Daewoo at Sukkar. And than God had mercy on us, when we were dissing PIA for cancelling the flight, Mujahid Bhai offered that we should come with them as they are heading Lahore and we can than catch a Daewoo from Lahore. In some ways I must thank PIA for cancelling the flight because the return journey in the TLC with Mujahid and Sohail bhai was not only very comfy but extremely memorable. They are simply great traveling companions with wicked sense of humour. The 12 hour journey passed easily with us napping, joking around and driving in turns. Sohail bhai’s TLC has 1HD-FTE fitted with DP Chip (performance) and it had awesome torque and lovely exhaust sound. And despite raised suspension its handling was very precise, both Asad and I enjoyed driving it. From Sukkar, Suhaib was travelling on Lancer but they took a different route as they wanted to visit Usama on the way. At Lahore we said our goodbyes at the Daewoo station and got on 7pm bus reaching RWP at 11:45 reaching home after mid night. A journey of 26 hours nearly, really tiring overall. It had been a truly knackering 5 and bit days. Once I got home and the adrenaline died down, I just sat down and thought about how we had just done all that! A special mention is needed here for Qasim Saidhi who is also a Pakwheeler, for his 2nd place overall in the rally behind Nadir Magsi. Who knows, if he hadn’t had to drive last 15 odd kms with flat left front tire, he may have been the first to beat Nadir in the last few years. Its worth remembering, Qasim is a rookie in the Class A category this year and was a previous winner in category D in 2009. Well done Qasim, you will surely achieve many more excellent results. 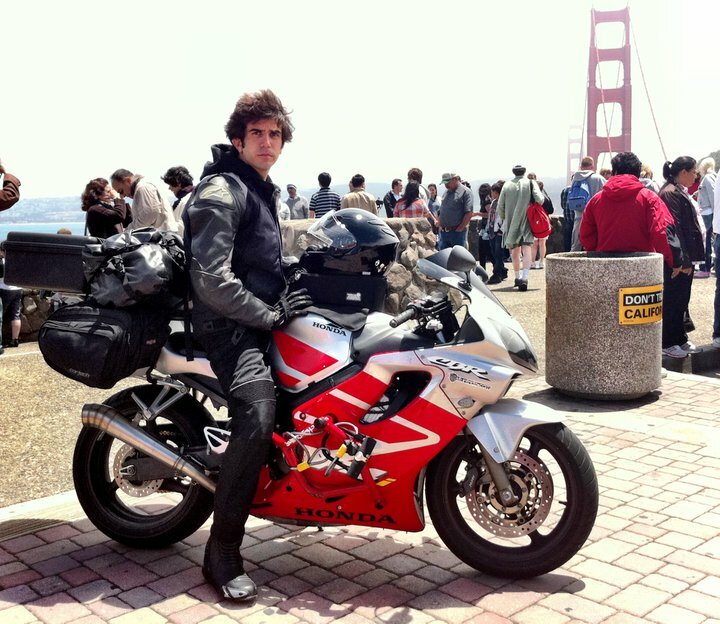 I am sure Rizwan Buttar is gonna age quick, while navigating Qasim with such dizzying fast driving speeds! Rizwan has an excellent photographic eye and has captured some real gems in this rally. I am sure he will share some of his capture here as well. It was very nice to have chats with Mitsuman (Osman) during the rally weekend. My question to him remains, that out of his huge stable of some truly gorgeous mitsu machines, he chose to bring the slowest and oldest of the lot to compete in the Rally, why? But still he finished the rally although not at any exciting speed or time. My thanks to all the other friends that we met in the rally village for all the gupshup and halla gulla. Of course special thnx to my partner in crime, Asad for all the support and help during this tremendous trip. Also many thanks to Suhaib for joining us in this awesome experience. Suhaib, against all odds managed to get his Concordia ready and chose to compete in Jhal come what may, I am sure he will regard this rally as one of the most memorable events of his life. Not to forget our support crew and all their help and their patience in putting up with our demands -many thanks all! Finally, am extremely grateful to Almighty for granting us these opportunities, for his blessings upon us and for bringing us back safely from these crazy adventures to relatively saner worlds!